I get my fair share of emails and one question that is asked frequently is “Which is the best diet for weight loss?” So I posted this article from a popular mag that tracks and takes polls on this very topic. I’m not in favor of quick weight loss. So I like this diet because you will become a healthier person if you follow this diet and that’s the best way to lose weight. I believe the real goal is to lose your body fat. You do that by following a healthy diet, and do more walking, stick to it and don’t cheat and you will lose weight. The DASH diet took the top spot overall for the sixth straight year in the U.S. News & World Report annual diet rankings, released Tuesday. This year, the publication rated 38 diet plans in all — three more than in 2015 — with rankings based on reviews from a panel of experts. Two of the new additions ranked highly: the MIND diet, which focuses on boosting brain health, and the Fertility diet, which aims to help women conceive faster but has been shown to benefit others as well. The rankings also added a new category, Best Diets for Fast Weight Loss. “We recognize dieters may have short-term weight goals and need options to accomplish that in a healthy way,” says Angela Haupt, a senior health editor at U.S. News. DASH (dietary approaches to stop hypertension) was developed by the National Heart, Lung, and Blood Institute to help people prevent high blood pressure. The plan focuses on eating plenty of fruits, vegetables, and whole grains while lowering salt. Besides being named Best Diet Overall, DASH also got first place in the category of Best Diets for Healthy Eating. Weight Watchers won first place in the Best Weight Loss Diets category. The Weight Watchers and Mayo Clinic plans tied for first place in the Best Commercial Weight Loss Diet category, with Jenny Craig coming in next. The report and its experts take into account that ”people diet for different reasons,” Haupt says. Some are looking for short-term weight loss, others long term. One of the new contenders, as the name implies, aims to boost a woman’s odds of getting pregnant. Other people diet to improve their heart health, diabetes, or to lower their risks for those conditions. For Best Overall, the MIND diet came in second after DASH, tying with TLC. MIND combines features of the DASH and Mediterranean plans, aiming to boost brain health. TLC stands for Therapeutic Lifestyle Changes and aims to lower cholesterol through diet, exercise, weight loss, and not smoking. For fast weight loss, the HMR (Health Management Resources) and Biggest Loser plans tied for first place. HMR is a low-calorie plan that includes meal-replacement shakes and emphasizes plenty of fruits and vegetables. The Biggest Loser diet has you eat regular meals with lean protein, fruits, and vegetables, keep a food journal, and control your portions, along with physical activity. For the Easiest to Follow category, Weight Watchers, Fertility, and MIND tied for first. In the Best for Healthy Eating group, DASH came in first, followed by TLC and Mediterranean, a way of eating rather than a formal diet plan that emphasizes fruits, vegetables, whole grains, and moderate alcohol. For those with diabetes, the Fertility diet, surprisingly, was first. The diet focuses on changes that are healthy for everyone, like cutting down on red meat and getting protein from nuts and vegetables. DASH and Biggest Loser tied for second place in this category. For Best Diets for Heart Disease, Ornish, TLC, and DASH took the first three spots, respectively. The Ornish diet is very low-fat, with 10% of calories from fat, and it encourages exercise. It can be tailored to goals such as reversing heart disease or diabetes or losing weight. The Mediterranean Diet, Flexitarian (avoiding meat most of the time), and Ornish plans took top spots for Best Plant-Based Diets. 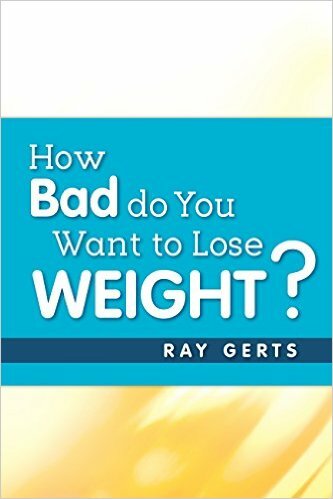 I write about losing weight, how to lose weight, what foods to eat when you’re trying to lose weight and exercise that will help you lose weight. I wrote an ebook that will give you all the info in one read. It’s a how-to book that also tells you about the mistakes I made and how to avoid them.